Spontaneous Joy is $19.99 (USD) and the $39.99 (USD) Box of Cheerful Curations. This card tells you what you got in the box and more info on each items. Stephanie Shives Studio party horns. This is the second box from Tinselbox I have reviewed and I am very impressed and I think it is very original. 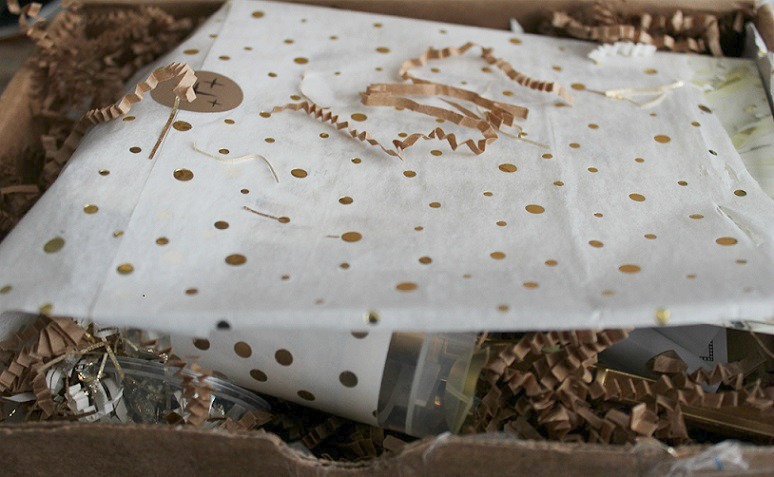 I don't think I have seen any other subscription boxes that sends out different holiday themed boxes like this one. If you like received different holidays themed items, I think you will love Tinselbox and I think that the prices are good too.